Aerification of greens in March is not a desired cultural practice in northwest Florida, especially after a cold, wet winter. 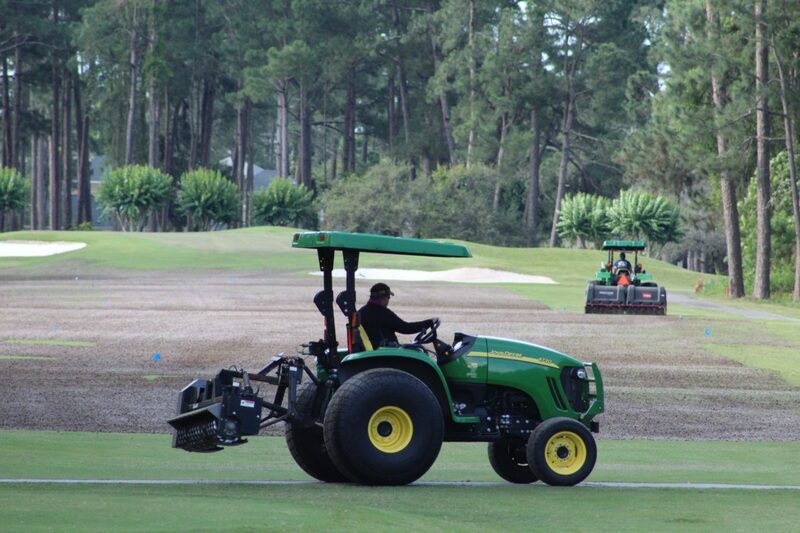 Aerification is; however, a necessary practice based on a golf course’s ISTRC soil test results. The ISTRC test takes a soil sample 12″ down in soil profile of your green and gives you two sets of data, the physical evaluation of the root systems and the measurement of the organic matter by layer. The second set of data contains the textural and particle size analysis. In 2013, Santa Rosa took samples from greens 1, 4 and 13. 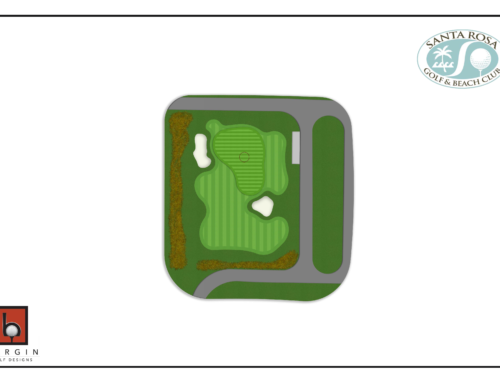 The ISTRC results were very conclusive that our greens were very unhealthy, especially in the top 4″. We had a very large build up of organic matter in that top 4″ and water was not readily moving through that layer to the next two layers. The greens water to air porosity which should be a 1:1 ratio, was actually 4 or 5 : 1, water to air. With these results in hand we made some decisions to become significantly more aggressive with our aerification program in 2014 to remove this organic layer build up. We aerified with quarter inch tines in September, October and March. March is not an ideal time but a necessary cultural practice given the information that we had at that time. Following this, the plan was to also aerify the greens with 1/2″ tines in May and August and 1/4″ again in June and July. These decisions in 2012/2013, while difficult on our staff and membership were necessary to help extend the life on our greens at the time. Kelly Barker is the golf superintendent for Santa Rosa Golf & Beach Club. He can be reached at kelly@santarosaclub.com. Kelly Barker is the golf superintendent for Santa Rosa Golf & Beach Club.